There has been a lot of talk about Mormons and the priesthood lately. I'm not sure why the media finds these matters so thrilling and scandalous, but I suppose that's the state of our world right now. Personally, I can't understand it at all. God has answered the debate on Priesthood and therefore the debate is over. Period. I personally don't want to stand before my Heavenly Father when this life is over and explain to him why I was right and He was wrong. All these matters aside, I find it interesting that members of the LDS Church have had so many lessons on Priesthood in all of our classes for the past year or more. I think God was trying to prepare us for the debate that He knew was coming and shore us up with the knowledge of His will. 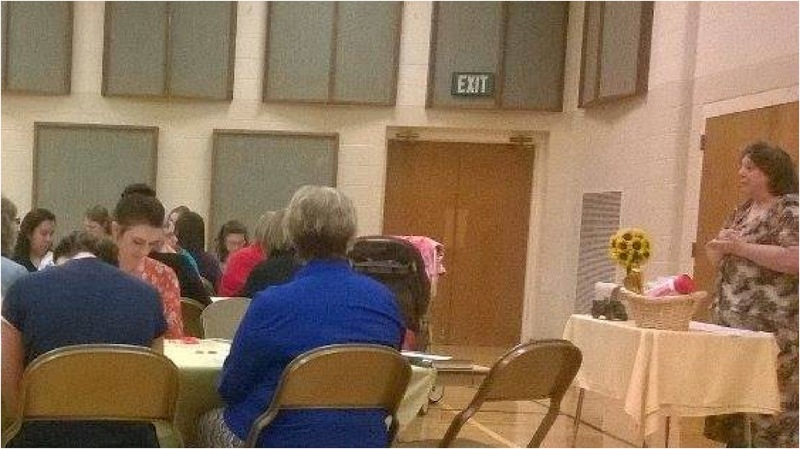 While I am visiting family in Texas, my mother was assigned to teach another lesson on the Priesthood. After so many lessons lately, it's hard to come up with a new way to teach these principles that wouldn't sound like the same old same old. 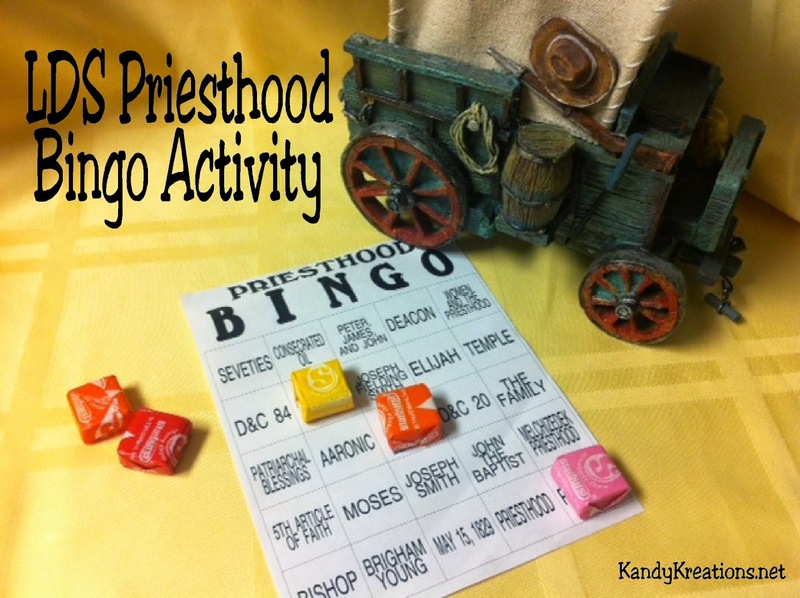 So together we came up with a Priesthood Bingo Review Activity for the class to play. 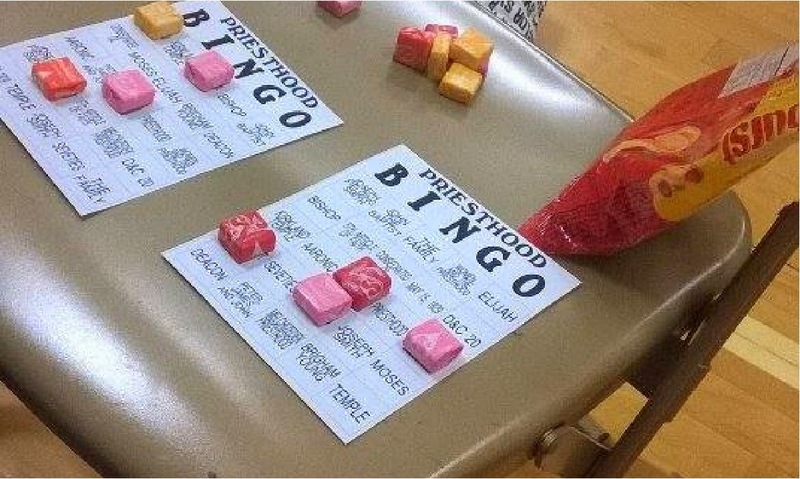 Since everyone had all the words on the cards, we used Starburst candies to mark the word on the Priesthood Bingo card. We played until someone won bingo. Then the cards were all cleared, the tabs put back into the pot, and we played again. As we drew out the same words we had already talked about, we didn't talk about them again, just marked them on our cards and moved on to the next word that we drew. We played until we had talked about all 24 words and time for class was up. I think the class really loved the novelty of the review as we had a lot of fun and still learned/ relearned some great principles that we all need to keep us on the straight and narrow path while the media and the world try to pull us off. If you want to play this with your class or as a youth activity, I am sharing the bingo cards with you here. And here are the words with links to more information from the LDS.org website. The Authority and Power God gives to Man to act in all things for the salvation of Man. To whom was the Priesthood first restore to in this dispensation. Where is the Oath and Covenant of the Priesthood found. Where was the location of the great restoration of dispensation priesthood keys. Quote by Sheri Dew-----"My young sisters, some will try to persuade you that because you are not ordained to the priesthood you have been shortchanged. They are simply wrong, and they do not understand the gospel of Jesus Christ. The blessings of the priesthood are available to every righteous man and woman. We may all receive the Holy Ghost, obtain personal revelation, and be endowed in the temple, from which we emerge “armed” with power. 12The power of the priesthood heals, protects, and inoculates all of the righteous against the powers of darkness. Most significantly, the fulness of the priesthood contained in the highest ordinances of the house of the Lord can only be received by a man and woman together." How we receive personal instruction regarding our fore ordinations and opportunities to be afforded us. What special item is used in the blessing of the sick and afflicted. Where are the Sacrament Prayers found. Where do we receive the fullness of the Priesthood blessings.